Pour le tester, il faudra créer une partie personnalisée et le choisir comme condition de victoire. 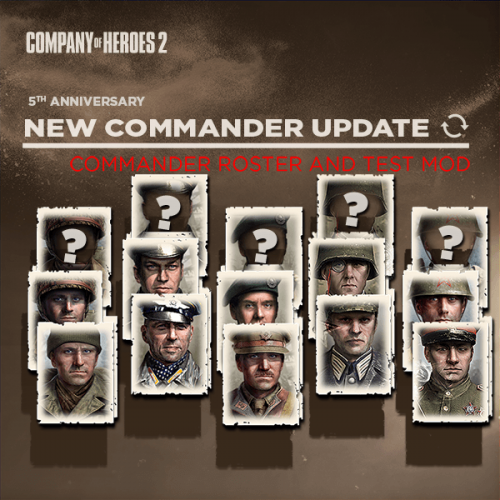 Bien sûr cette version du mod est vouée à évoluer au cours des semaines/mois à venir en fonction des retours de la communauté (que vous pouvez formuler ici : https://community.companyofheroes.com/categories/commander-feedback ou là : https://www.coh2.org/topic/88047/new-commander-patchnotes-discussion-thread). This ability has been introduced as an interesting alternative to flamethrowers while serving a similar role of anti garrison/ cover positions. Can be upgraded with Rifle Grenades as one of this commanders slot abilities. AOE distance 0.5/1.5/4 versus 1/2/3 of the standard Fighting Pit. AOE damage 1/0.5/0.3 versus 1/0.75/0.25 of the standard Fighting Pit. M4 Sherman Tanks can now be upgraded with Dozer Blades; same as Mechanized Company. Cost from 50 to 40. Gives the squad 2 Thompson SMGs, Sten Guns (with Assault Engineer Grease Gun stats) No.77 White Phosphorous Grenades, and removes their Out-of-Cover penalties. Grants an additional -5% Receieved Accuracy. Same mortar as the USF 81mm Mortar. Can be built from the Company Command Post. Same stats as the USF M10. Drops a crate at the target position that can be picked up by infantry. Grants the squad that picks it up with 3 Penal Battalion SVTs; takes up 1 weapon slot. Can be equipped with 3 DP 28s for 100 munitions. Has access to Orrah, Smoke Grenades and has ‘To the Last Man’ ability. Costs 100 manpower and 15 fuel. Can detect enemies in a range of 60 around it. Can request a Medical Airdrop at the target position for 20 munitions. When the Mechanized Armor Kampaneya is deployed, it can act as a Forward Retreat Point. Barrages the area with P-47 rockets. Assault Grenadiers are receiving a small number of changes to help them close the distance and increase their scaling in the late game. Veterancy 1 Received Accuracy from -10% to -6.5%. Can now be upgraded with a 6th man for 60 munitions. MP 40s are also having their mid-range power increased to match SMGs like the M3 Grease gun used by Assault Engineers. This change also affects Assault Officer and Volksgrenadier MP 40s. Currently has no audio, but does inform the player what the opponent has produced; this ability might be changed as this cannot be edited in the Attribute Editor. Panzergrenadiers can throw Satchel Charge; requires no upgrade. 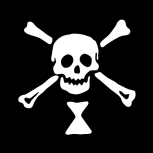 Pioneers can be upgraded to Destroy Cover for 30 munitions; same as Royal Engineers. Also increases repair speed by 0.3. Gives Ostheer access OKW Panzer IV J from the Support Armor Korp. The Tiger Ace has undergone a rework with the intention to make it a less controversial unit. The following changes should make it less frustrating to both play with and against. Sight from 50 to 35. Has 10% increased accuracy over the regular Tiger. Now has access to Spearhead ability at veterancy 1 in addition to Blitzkrieg; similar to King Tiger's ability. Has access to Emergency Repairs ability; same as OKW Elite Armor. Limited 1 time call-in removed. Cost from 290 to 250. Now available at 0 CPs from the Regimental Headquarters. Squad size from 6 to 5. Grenade AOE distance from 0.75/1.5/2.25 to 1/2/3. Recon package (G43 upgrade) now increases squad size from 5 to 6. Gives Volksgrenadier access to MP 40 Package; same as Feurstorm Doctrine. MP40s have undergone a rework, benefiting from the changes outlined in the Wehrmacht Assault Grenadier section.